J’ai cherché assez longtemps une chanson du lundi qui puisse me permettre de prolonger un peu mon week-end. j’ai choisi cette reprise de Landslide de Fleetwood Mac car elle a été enregistrée par Sin Fang Bous dans la chaleur de son appartement. C’est cette chaleur que j’ai envie de partager aujourd’hui. Oui, l’envie de rester au lit, engourdi, mal rasé et au chaud jusqu’à ce qu’il fasse sombre dehors. Sin Fang Bous covers Fleetwood Mac’s Landslide in his Reykjavik studio. 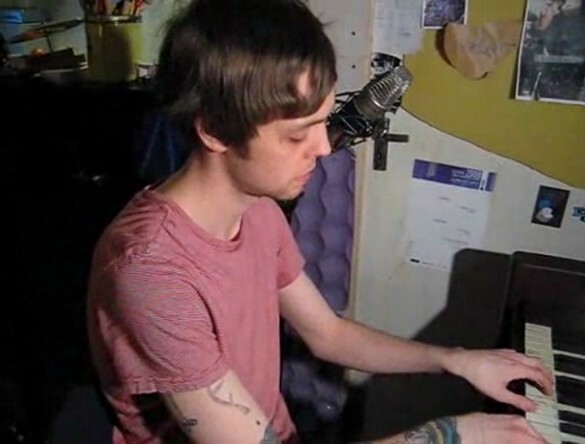 He picked up the tune while tinkering on the piano at home over the previous few weeks after the birth of his daughter and reckons that it’s probably the first song he’s learned by heart. Not a bad place to start. Keep a lookout for an upcoming 7″ by Sin Fang Bous that will feature covers of Beautiful Child by Fleetwood Mac (from ‘Tusk) and Stevie Nicks’ solo tune Wild Heart. Be sure to check out Sin Fang Bous’ first live performance of Catch The Light from the same session as well as an interview with the Sin man with the Fangs on all matters Bous. Shot and edited for gogoyoko.com by Stuart Rogers with sound by Sindri Már Sigfússon.